The Holy See (from the Latin sedes, meaning seat) is the headquarters of the worldwide Catholic Church and is located within the Vatican City State, the world's smallest sovereign nation. It is from here that the Successor of Saint Peter, the Pope, guides the Church in her mission to sanctify, teach and proclaim. The Holy See is home to many dicasteries (departments) such as Evangelization, Doctrine of the Faith, Divine Worship, Bishops, Causes of Saints, and so on. 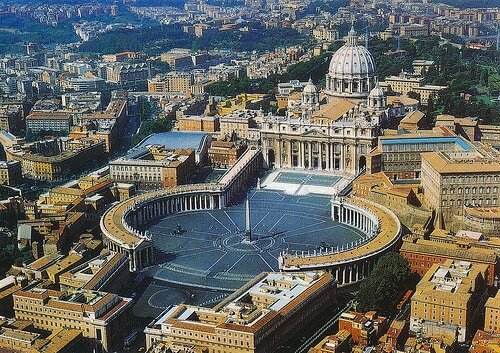 Approximately 2,000 people work in the various Vatican offices. The magnificient Vatican Museums, home to some of the world's finest masterpieces in art and sculpture, are visited by five million people each year. 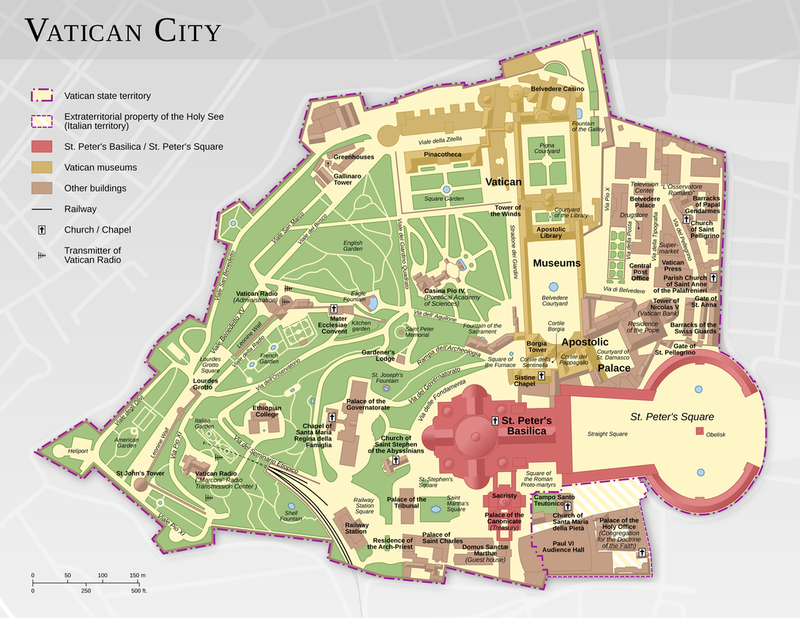 The Vatican, as it is commonly known, is built atop a site that was home to the pre-Christian Etruscan peoples who named it Vatica, or Gardens. The first Christians in Rome lived on this hill. It was here that Saint Peter lived and was executed for his faith. His grave immediately became a place of pilgrimmage. In AD 320, the Emperor Constantine ordered the building of a worthy church over the tomb, the first Saint Peter's Basilica, which stood until it was slowly dismantled and replaced by the current Saint Peter's, which was built from 1506 to 1626.